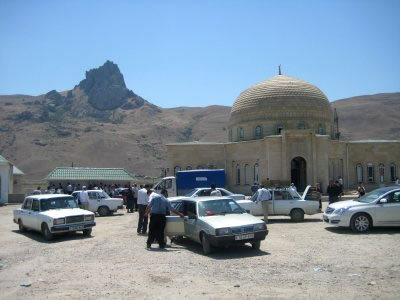 Azerbaijan was actually the third country of the trip, but the first to be properly visited. 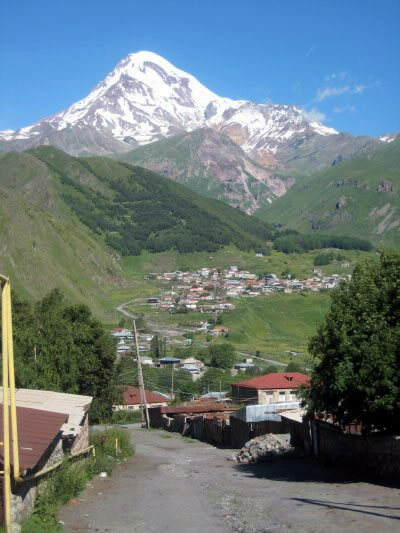 I had landed in Armenia on June 30 and met Stacey the following day in Georgia. 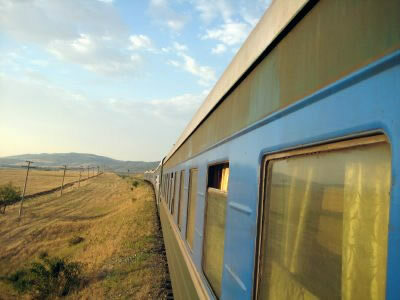 After briefly exploring Tbilisi, we took an overnight train to Azerbaijan. 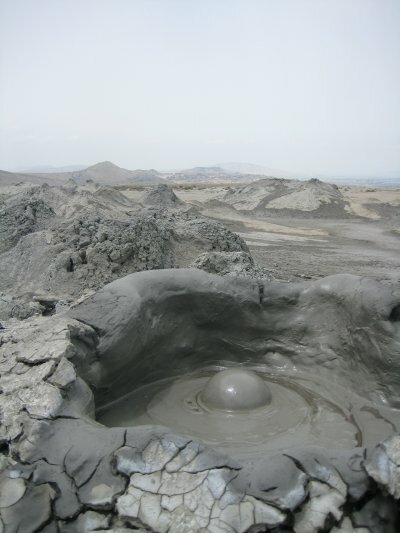 Using Baku as our home base, we charted a taxi to Qobustan to see the petroglyphs and unusual mud volcanoes. We were surprised to find out that even after a price was settled (before we got in the taxi), negotiations continued for most of the trip. This was highly amusing to us and we budged little. 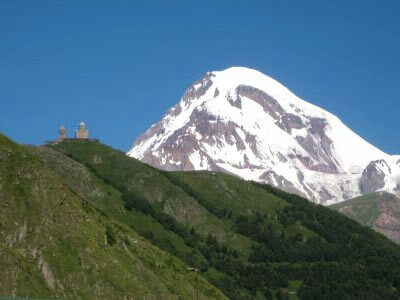 This occurred many times during our travels in the Caucasus, and became known to us as the “75% there” trick. Despite extraordinary efforts by the driver to conserve fuel, our taxi ran out of gas, forcing us to bus it back to Baku. Our dilapidated Soviet-era accommodations were actually rather intriguing. 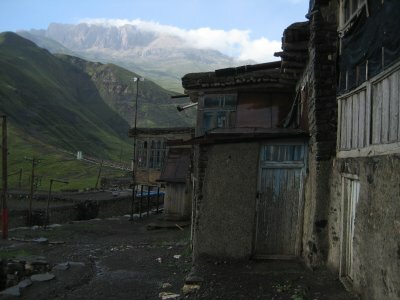 Our next stop was Xinaliq, a rustic little village nestled in the Caucasus Mountains. 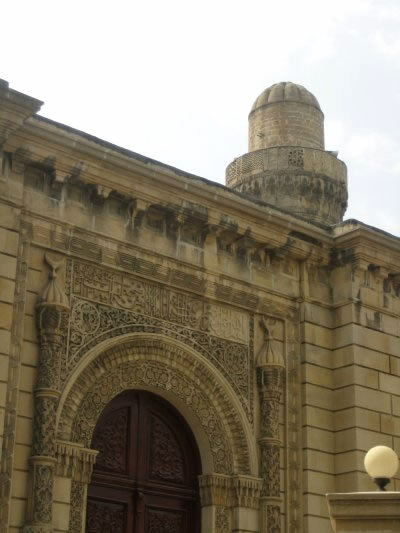 We had to wrangle with a corrupt police officer in Quba, who held onto our passports until we agreed to hire his friend for transport into the mountains. There are no hotels in Xinaliq, and so we had to wander around town for a bit until someone offered to take us to their house. With limited accommodation and time dwindling before sunset, we had little room to bargain, and ended up paying what we felt was an exceptionally high price. 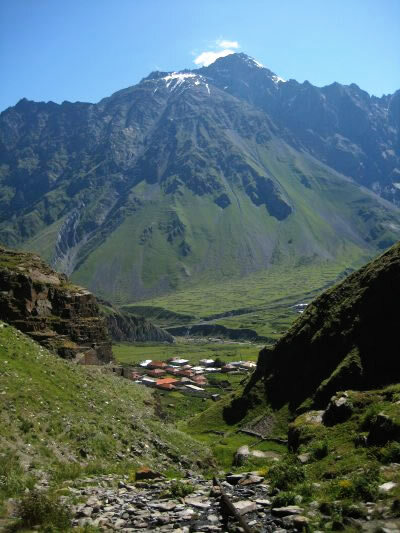 We simultaneously negotiated for a guide to lead us through the mountains to Laza, a neighboring village. We spent the rest of the afternoon strolling around town, interacting with locals, and enjoying the spectacular scenery. 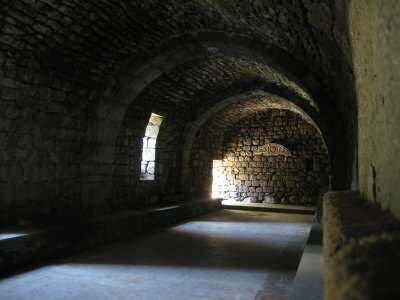 It felt like we had been thrown back two millennia, and was without doubt the highlight of the trip. After a quick breakfast, we set off on our hike to Laza. 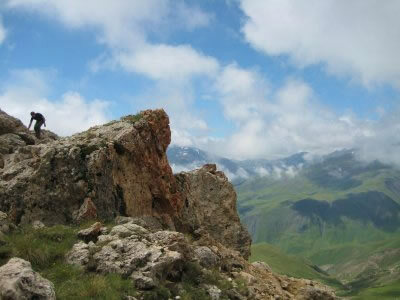 The landscape was stunning – a mix of grassy hills and snowcapped mountains. Our guide, who was on horseback, routinely went out of sight, leaving us to traverse the terrain alone. We didn’t mind too much until “75% there” he told us we were walking too slowly and that he needed additional money to spend the night in Laza (since he couldn’t make it back to Xinaliq before night fall). Not only was this insulting because we had paid him a generous sum, but also because the price he requested was more than some hotels in major cities. When we refused to cough up the extra money, he simply departed, leaving us alone (and fairly shocked) in the mountains. Lacking proper food, water, clothes and equipment for an overnight stay, we made haste to Laza as best we could using a low detail map in our guide book, covering the remaining ground in about two hours. Upon arrival to Laza, population 150, it was clear transportation out was going to be problematic. We ended up hiking for several more hours, hitchhiking whenever possible. We finally rolled in to Quba, exhausted, around 7pm. After a long shower, we indulged in a much deserved, but unfortunately mediocre dinner. 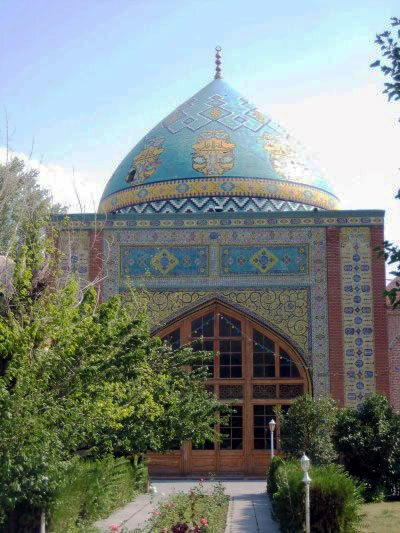 We returned to Baku the following day, and visited a few sites we had missed the first time. 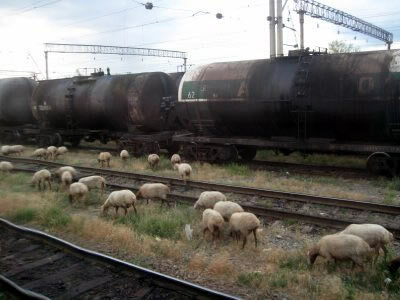 That night, we departed by overnight train to Şeki. We were apprehensive when we learned tickets only cost $5 for a sleeper, but the ride was surprisingly comfortable. Before going to bed, we shared snacks with two Azeri Judo masters sitting across from us (European champions if I recall correctly). 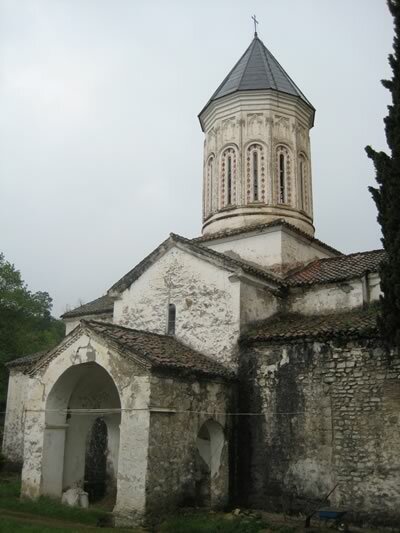 In Şeki, we visited the beautiful Khan’s Palace and Kiş, a cute village further up the mountain. Staying in the atmospheric, 18th century caravanserai was memorable, as was Şeki’s famous (but ridiculously sweet) baklava. 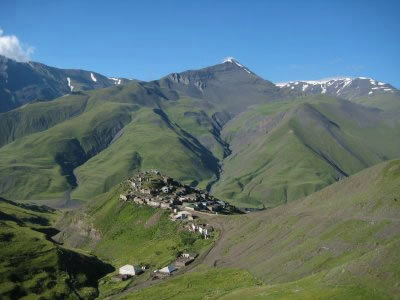 From Şeki, we departed for the Georgian border. Georgian border crossings tended to involve a lot of explaining. On one hand there was Stacey’s Russian background (Georgia/Russia tensions were high at the time), and on the other, there were visas spanning my two passports that confused officials greatly. Fortunately, after much interrogation, they always waved us through in the end. We spent our first night in Telavi, a bustling and pleasant city. 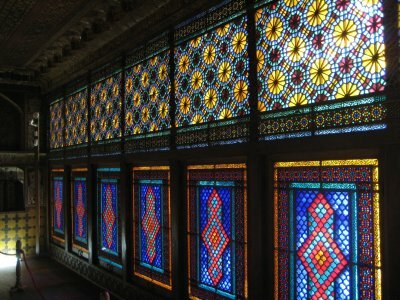 Although our experience with homestays in Azerbaijan was poor, we decided to spend the night in the house of a hospitable, older lady. It was very comfortable, and reopened us to the possibility of using homestays. 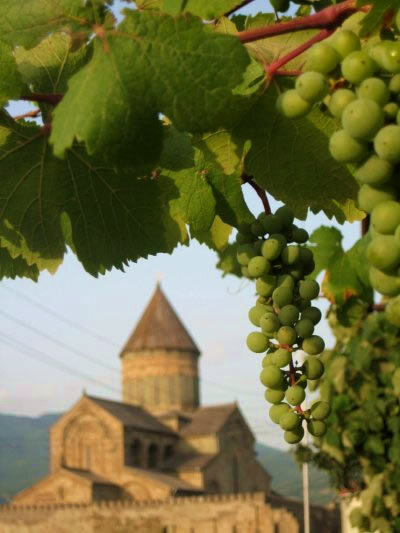 That afternoon, we charted a taxi to visit the impressive Alaverdi Cathedral. 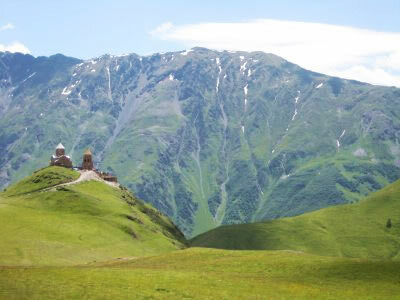 From Telavi, we pushed on to Kasbegi (aka Stepantsminda), high in the Caucasus Mountains and just shy of the Russian border. 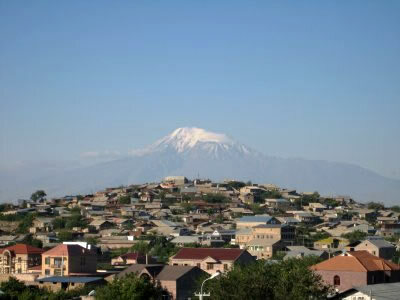 The town is spectacularly situated across from Mt. 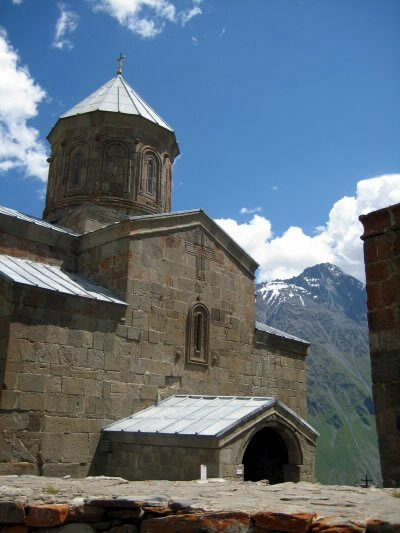 Kazbek and the Gergeti Trinity Church. Our homestay was equally memorable, with a friendly host and delicious homemade Khinkali. 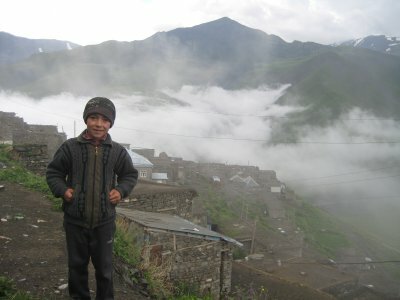 After two nights of fresh mountain air, we headed southwards to lovely Mstkheta. We also squeezed in an afternoon visit to Gori, Stalin’s birthplace, which has an impressive museum on the infamous leader. 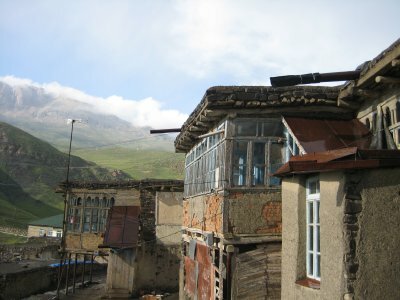 Our randomly-found homestay in Mstkheta, like others, was wonderful. After two carafes of homemade wine and a seemingly endless homemade meal, we settled into bed. 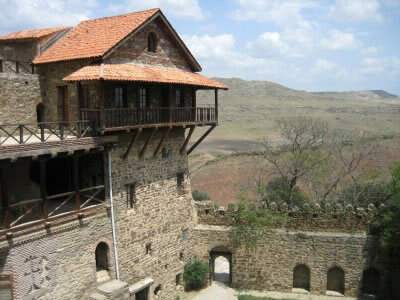 Before crossing into Armenia, we visited the interesting cave monasteries of Davit Gareja. 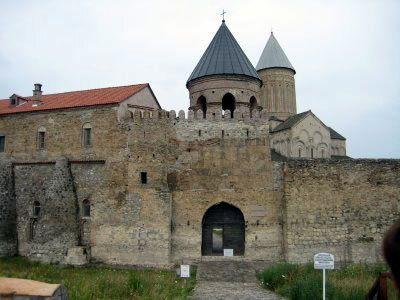 Having burned most of the day visiting Davit Gareja and getting into Armenia, we were forced to spend the night in Alaverdi. 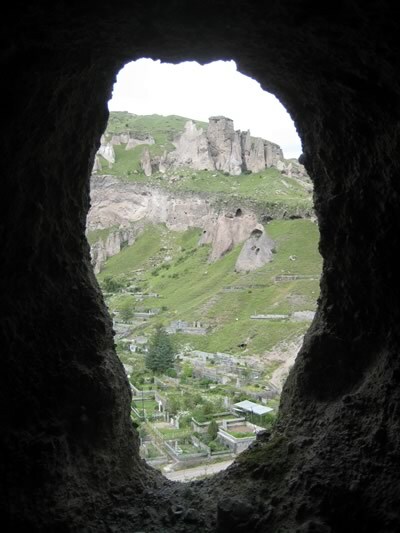 Although situated in a deep canyon and close to several UNESCO world heritage sites, it was far from picturesque. Huge shuttered copper mines dominated the cityscape. However, the friendly people and delicious dinner more than compensated. We spent the night in a lady’s spare, Soviet-era apartment – we knew it wasn’t going to be five stars when she led us up the pitch black stairwell with matches. The following day was spent visiting the charming, 10th century Haghpat and Sanahin monasteries, both UNESCO world heritage sites. We pushed down to Dilijan for the night. 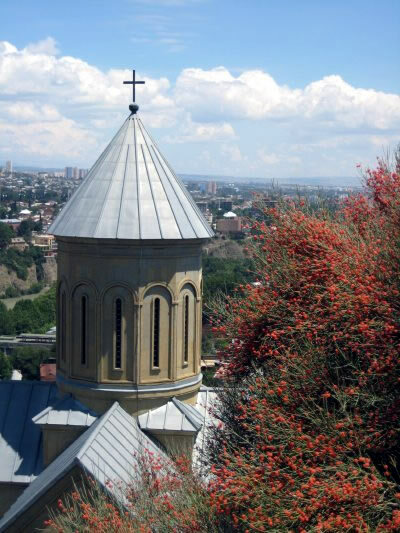 Our next destination was Yerevan, my favorite of the Caucasus capitals. 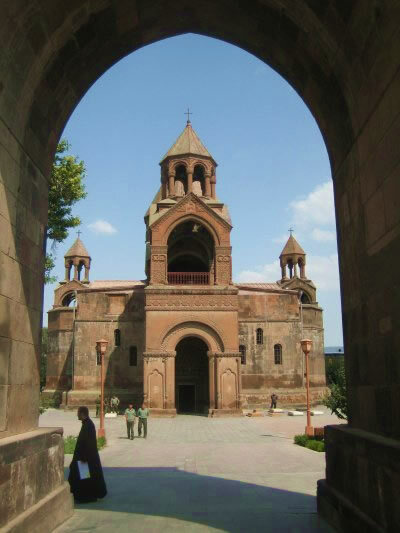 We spent a day enjoying the sites and sounds of the city, including a quick visit to Echmiadzin (like the Vatican, but for the Armenian church) and an independent film at the Golden Apricot Film Festival. 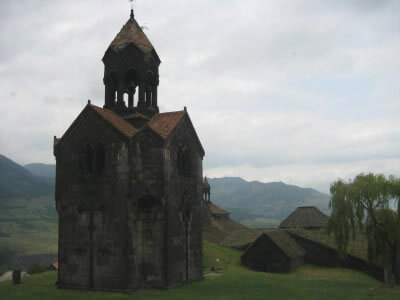 After a leisurely morning of street food and (free) coffee, we departed for Goris, in the far south. 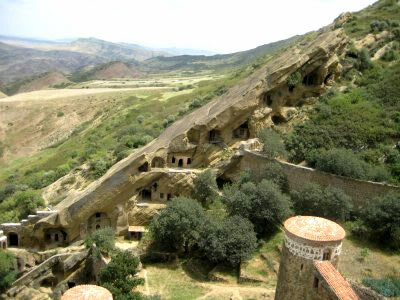 The town is famous for it’s nearby caves dwellings and fruit vodka. The town’s decaying Soviet-era amusement park was a curious treat. 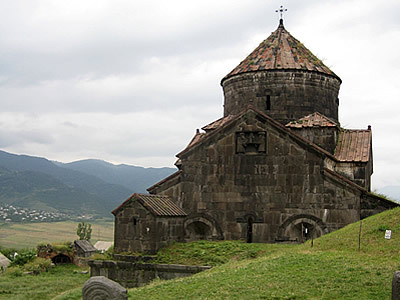 From Goris, we visited the famous Tatev monastery complex, and took a quick dip in the springs near Satan’s Bridge. 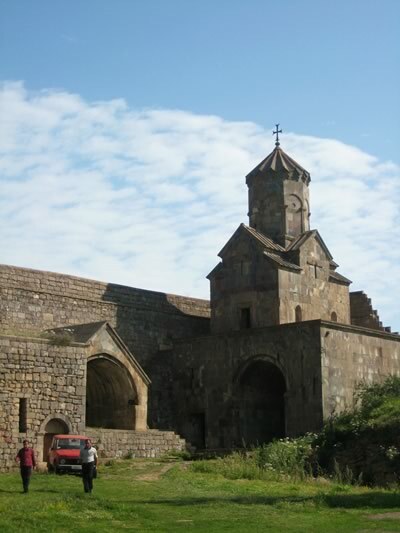 On our way back to Yerevan the next day, we briefly stopped at the unique Khor Virap monastery. We treated ourselves to a tasty Armenian-Syrian dinner for our final night, and after a few drinks, got as much sleep as we could before our early morning departure home.